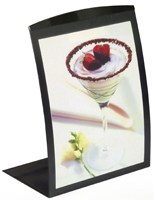 This retail sign holder features a "lift up" magnetic lens for quick and easy sign changes! We have hundreds of other retail signs in stock! 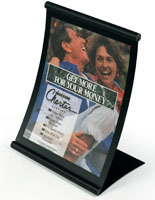 This retail sign holder fits 8-1/2"w by 11"h graphics. 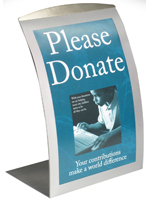 The sign holder features a magnetic, "flip up" Lexan® lens for quick and easy sign changes. 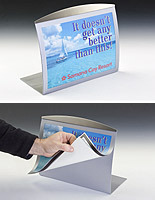 To change your advertisements, simply lift up the lens and slide in your graphic. 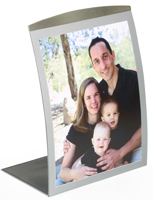 The magnetic frame holds your graphics in place! 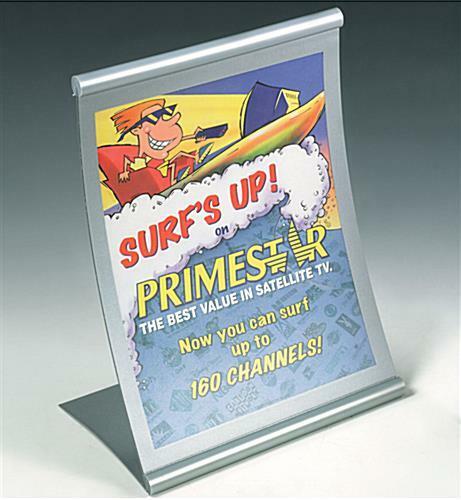 The store fixture, retail sign holder is made from durable powder-coated metal with a silver finish for an upscale appearnce. 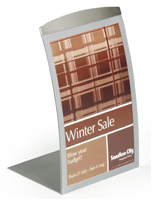 With its neutral silver finish, this retail sign holder can coordinate with any store decor!